We love pop-ups, and this is a great one! It’ll only take you a few pieces of card and a bit of patience. 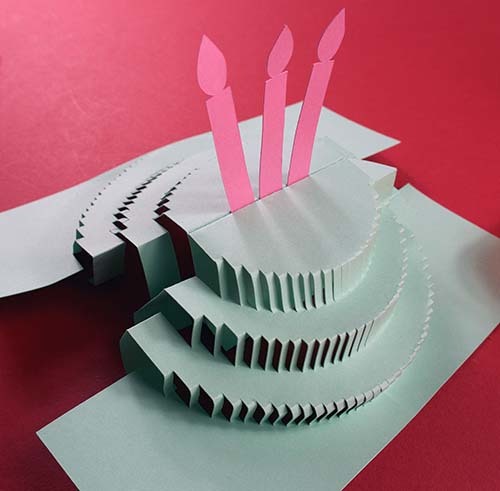 A three-tier birthday card emerges out of a card bearing a simple (but spangly!) Happy Birthday message! 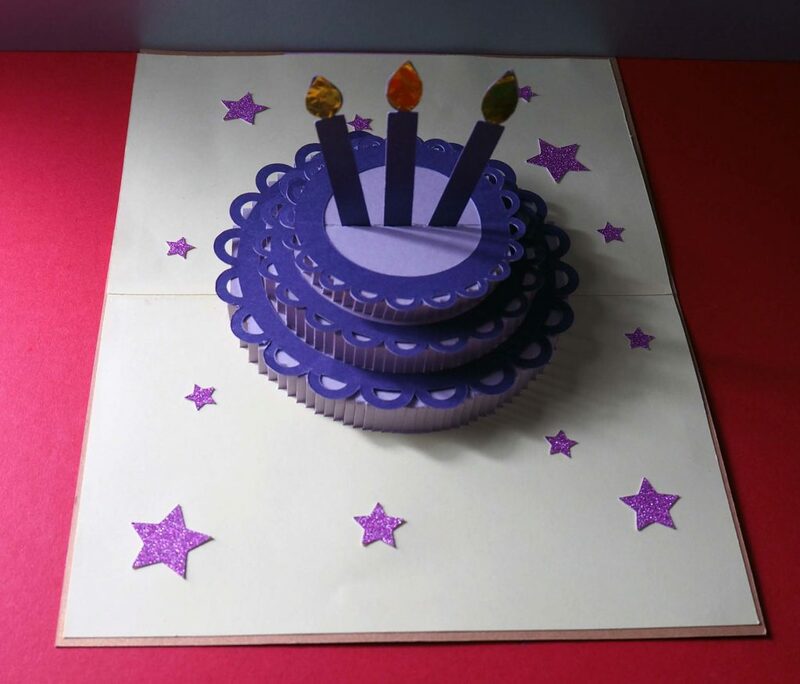 I made the card from a variety of different colour cardstocks and a tiny amount of holographic adhesive vinyl (for the candle flames!) 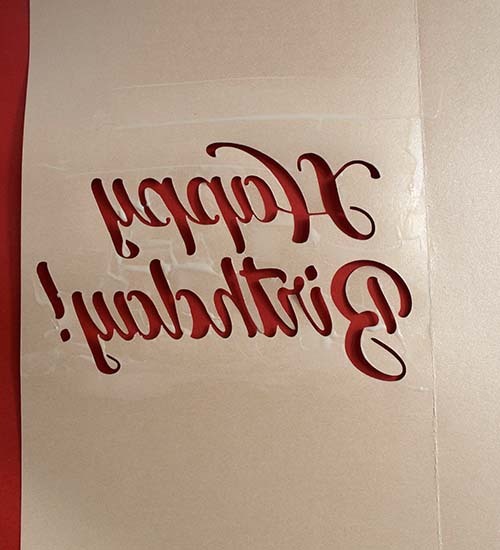 Glitter cardstock also worked well – but please note that it’ll make your card thicker! 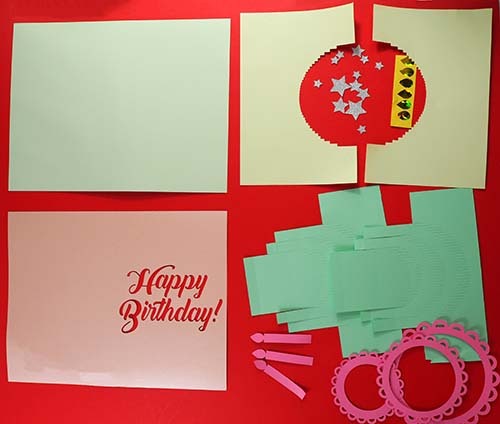 Only small amounts are required for most of the pieces – however, you’ll need a sheet of A4 (or, if you’re in the US or Canada, letter size) for the card front, card interior, cake edging (though you can easily and each of the two main cake pieces. 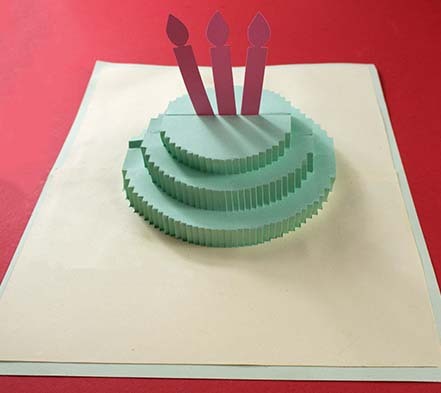 Please note – six candles are included in case your card is one-sided, so you can glue two together to make three candles altogether – however, if you’ve used double-sided card then you’ll only need to cut three. As this card will be rather thick when closed, I really recommend using a medium to light cardstock for the main card pieces and good quality paper for the card’s interior. Open the mainthreetiercard.svg (or whatever format you’re using). Select the whole piece on the screen and click on ‘Ungroup’. 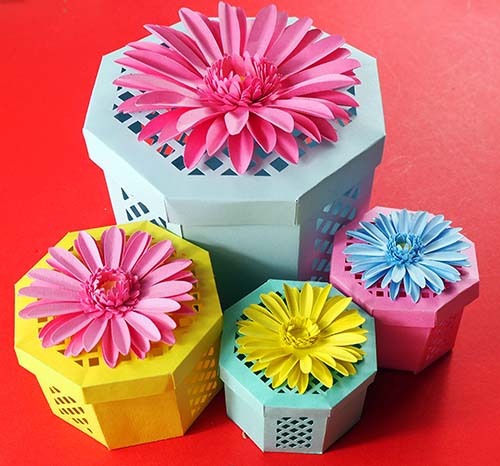 The settings you choose will depend entirely on your card choices – I’ve found that (on the Cricut Maker) I’ve found Intricate Cardstock (with More pressure) is the best setting. For heavier card, oddly, I’ve found that Cereal Box (with More pressure), a setting that uses the deep cut blade, produces the best results! I can’t say that it doesn’t pain me a little to use this setting on high-quality Felt Embossed 270gsm card, but the results are what count! What is crucial though, is that your mat is clean and super-sticky. I used the lilac-coloured strong grip mat. You’ll need to make sure the card is firmly stuck to the mat in all places – I highly recommend using Cricut’s scraper to do this. 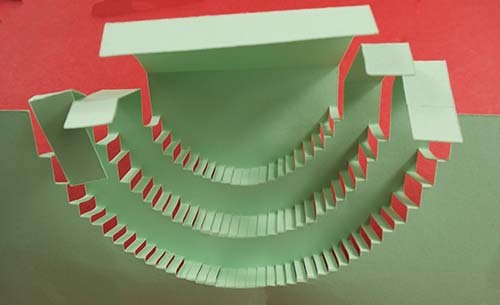 Take one of the main card pieces and bend over the top, narrowest layer of slits to start to form a circle (below, image on left). 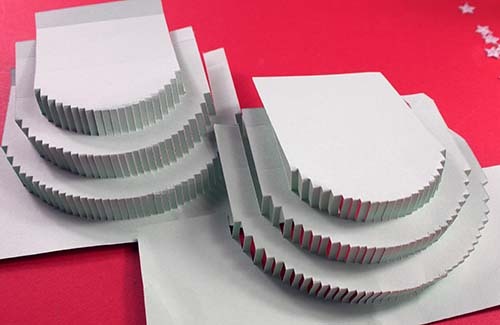 Once it’s starting to take shape, grip the card from the top and push forwards to bend the bottom of that top layer of slits into a circle (below, image on right). Yes! You’re already working in 3D!! Now, do the same for the other piece. 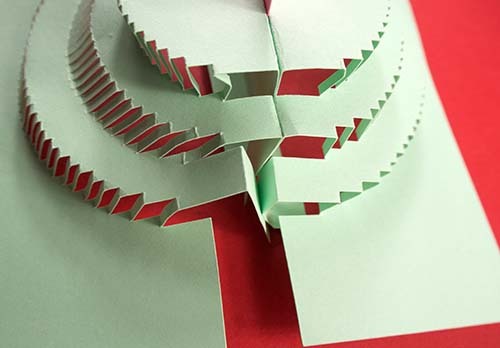 When you make folds, move the pieces backwards and forwards to make movement easy. 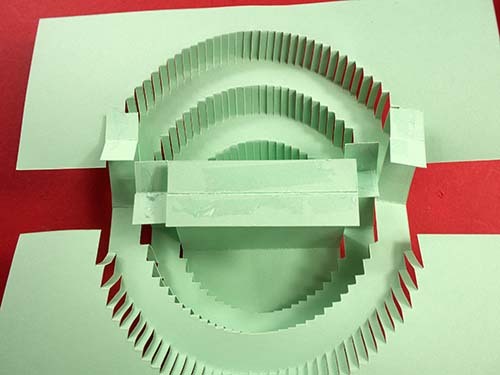 Apply glue to the big fold directly behind the top central semi-circle. 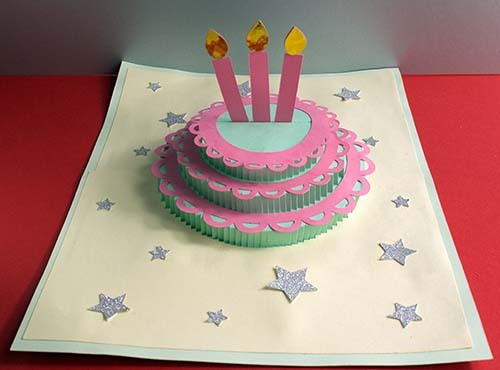 Glue the candles to the top edge as shown. I’ve experimented so much with different types of glue, but the one that’s worked best for this section is roller glue. Join this flap to the corresponding flap on the other piece…and you’ve got what’s starting to look like a three-tier cake! Join up the end flaps on either side of the section you’ve just joined, while ensuring that the cake remains upright. 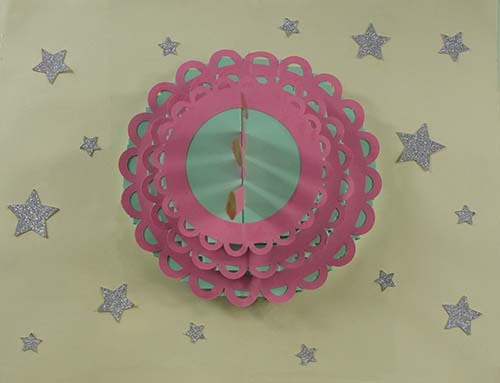 (Like the join you just made when you joined the centre circle together, this join will be vertical, at a 90-degree angle to the base of the card). 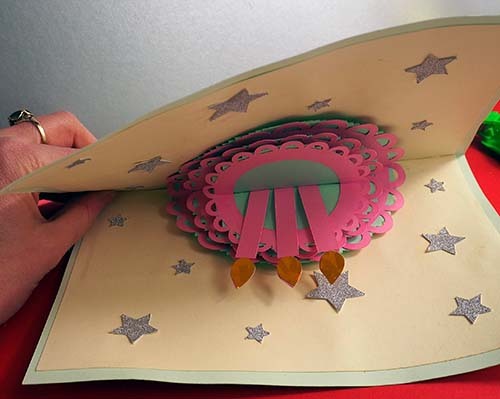 Now, glue the bottom section of the card pieces (that is – the area outside the bottom circle) and attach it to the base of the card. 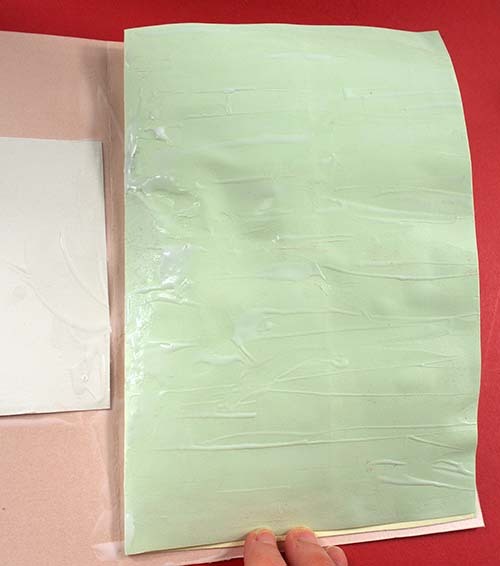 At this point, you might find that PVA glue is the best option – you want a really thin layer, but you don’t want to leave any gaps. 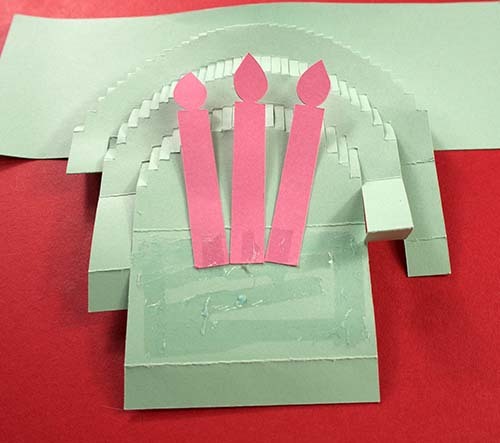 Apply the first of the inside layers of the card – being careful to push the edges close to the popped-up card pieces (again, we found a thin layer of PVA glue, with no gaps, best here!). Repeat with the other layers. You’ve now done all the hard work! Well done! Admire your creation as it dries – it really need to be left to dry thoroughly before you move on! Once your ‘cake’ is dried, carefully close it (making sure that it folds along the scored, folded lines, not squashing anything else!) and open it. 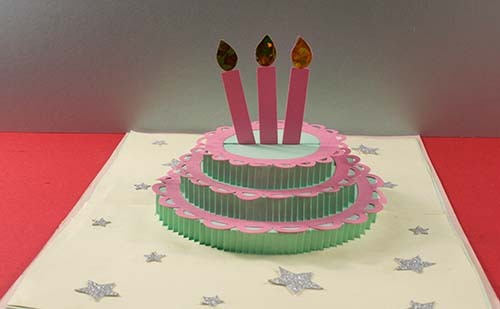 Do this a few times until the movement is easy and ensure the cake is upright (if there are any problem areas, reglue them). Take the front of the card (the part with the message on!) and fold along the score line. 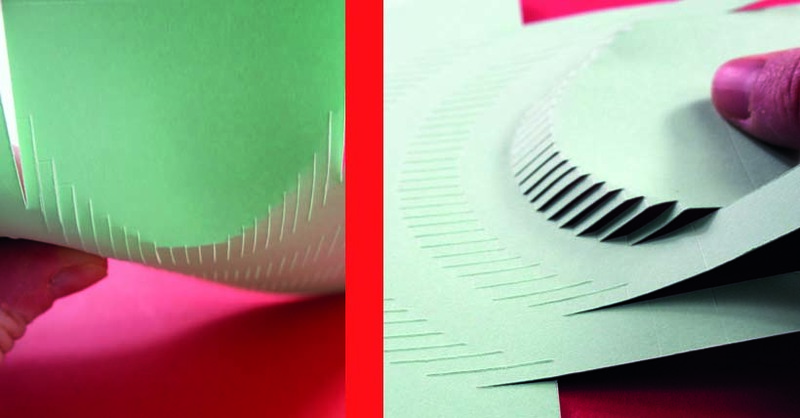 Cut a contrasting piece of cardstock the right size to completely cover the message – you’re going to glue it to the inside. 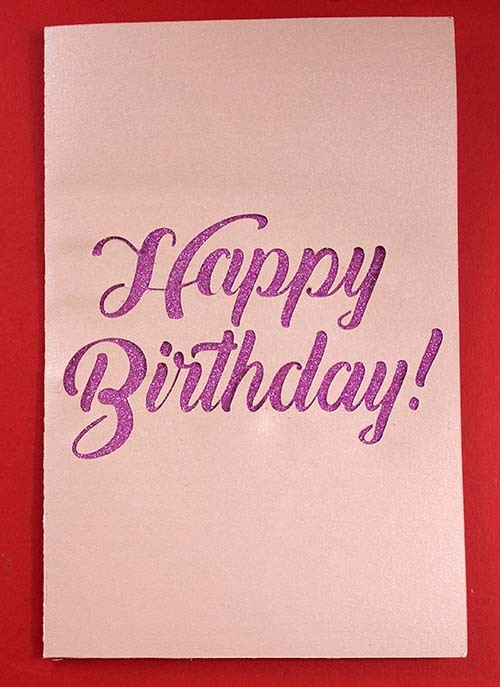 (I like to use glitter cardstock – on reflection though, if you wanted to keep the card as thin as possible then you could use a sheet of adhesive glitter vinyl and apply it to the other section of the card!) Put a thin layer of glue around the letters and, while applying the glitter card, ensure the middles of the letters are in the right places. Put a weight on top (I used a book) while it dries. 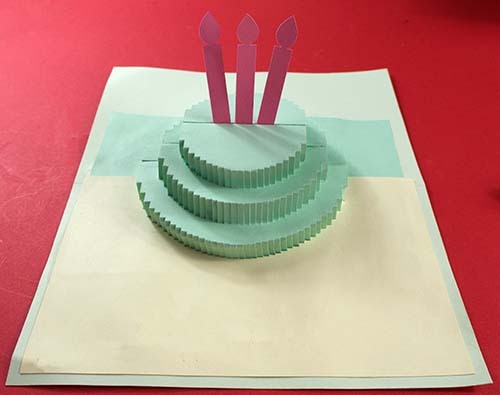 Once all sections are dried, open the outer card you’ve just made (with the writing on) and lay the other piece (containing the pop-up cake) on top of it. Fold it over/shut it. 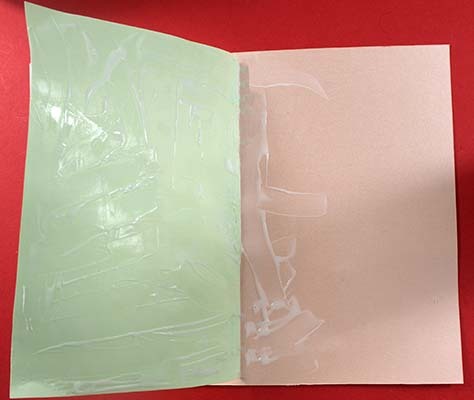 Apply a thin layer of PVA glue (but ensure you cover all of it!) to the front side of the card, and attach it to the section of the card that has the message on it. 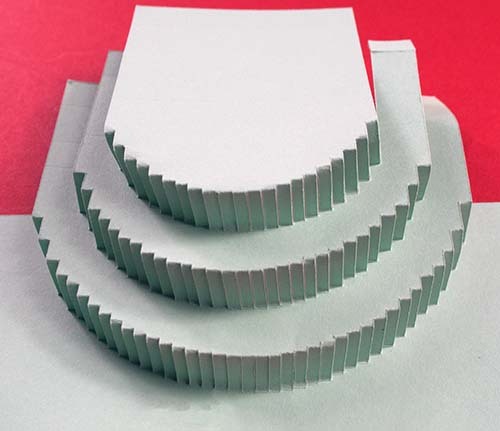 Make sure you apply glue liberally around the fold, and join both of the folds together. It’ll look a real mess at this stage but don’t worry – the power of drying is miraculous! Again, leave to dry, with a weight on top if possible. 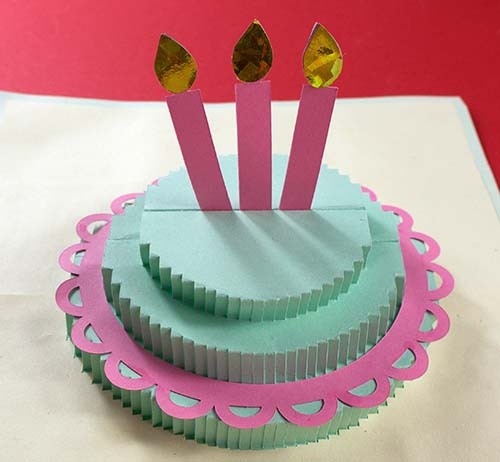 Open up and glue the remaining half of the card and firmly join front and back together. Again, leave to dry thoroughly, with a weight on top. Your card is now finished! Once it’s completely dry, you can open it and close it slowly to ensure the pieces fold along the score lines, and other pieces don’t get squashed. Well done – you’ve made it! Want to have a go yourself? 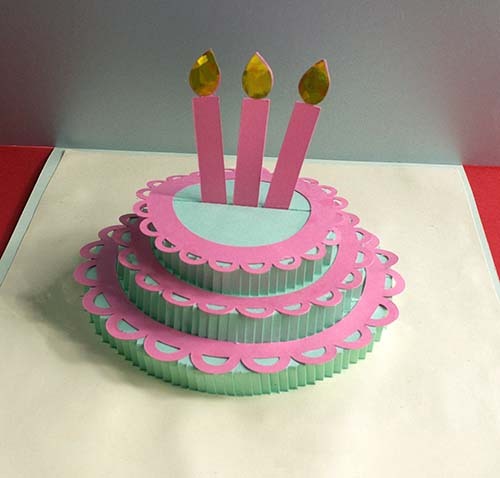 Download the three-tier pop-up birthday card cake cut file now!